Our range of products include rexine embossing machine, pu embossing machine and inflated toys making machine. 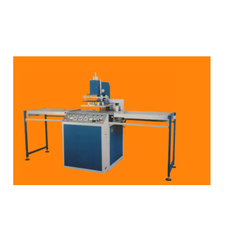 Our expertise in this domain has enabled us to manufacture and supply a pristine array of Rexine Embossing Machine. Our organization is well known in the industry for offering an extensive gamut of Jeans Label Embossing, PU Embossing, Sports Shoes Embossing, Artificial Leather Embossing, PVC Leather Embossing, Shoes Upper Embossing, Leather Embossing, PVC Foam Embossing, Fibre Tape Embossing Blind Embossing on PVC etc. We are affianced in offering a wide range of Inflated Toys Making Machine. These machines are extensively used for making PVC fabric Coated Ballon's, animal toys, ball's, ballon's, pillow's, swimming pads and life jackets. 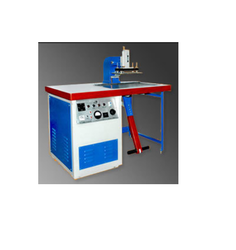 Our machines are highly demanded & appreciated for their several features.